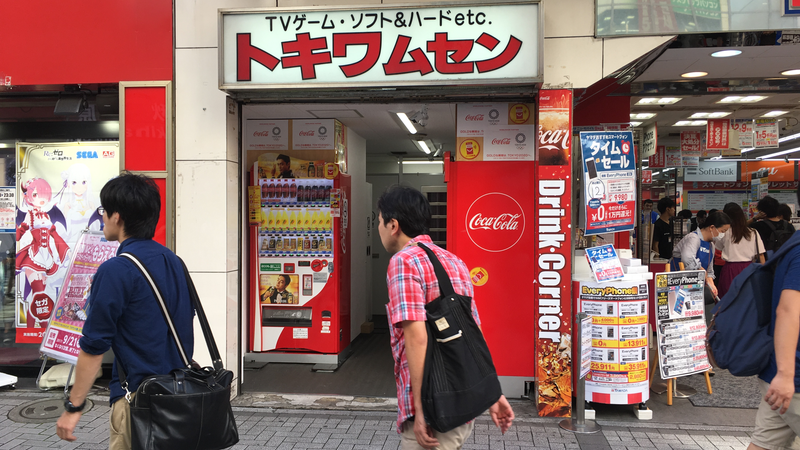 This used to be Tokiwa Musen, which billed itself as Akihabara’s “oldest, smallest game shop.” This is where you used to be able to go to get new releases for heavily-discounted prices, conveniently located right near the train station exit. Now it’s three Coke machines. Bummer.